MVMQG Membership Dues for 2019 are $60.00. I'm Katherine Long (president and website manager) please send me suggestions for improvement! 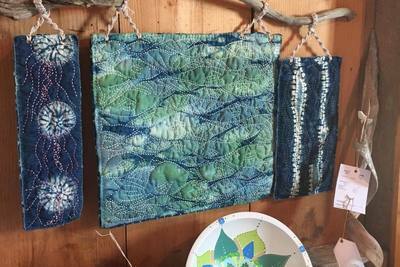 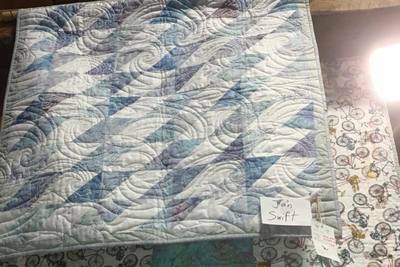 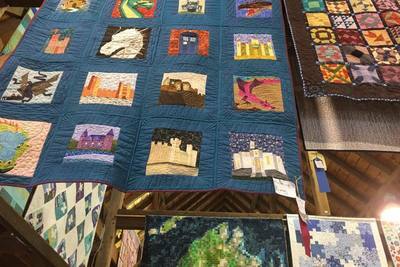 ​To access an article on photographing your quilts click HERE. 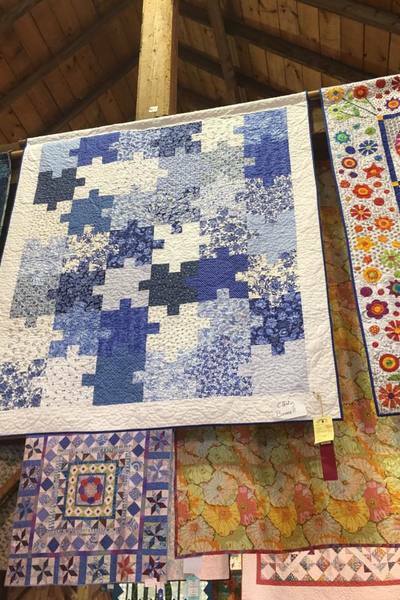 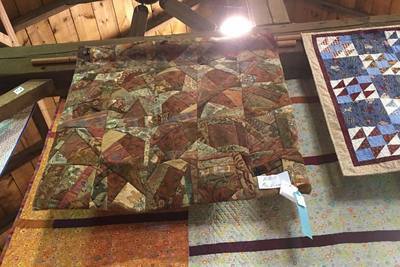 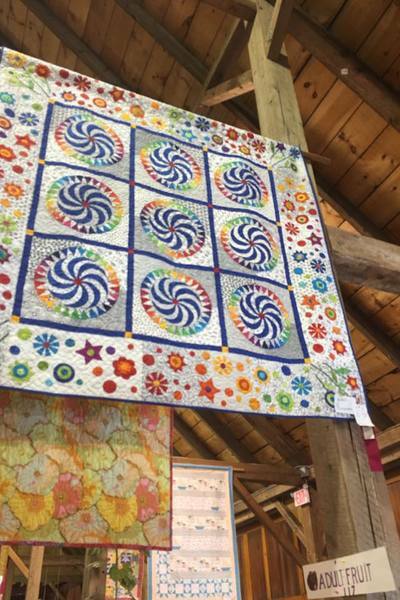 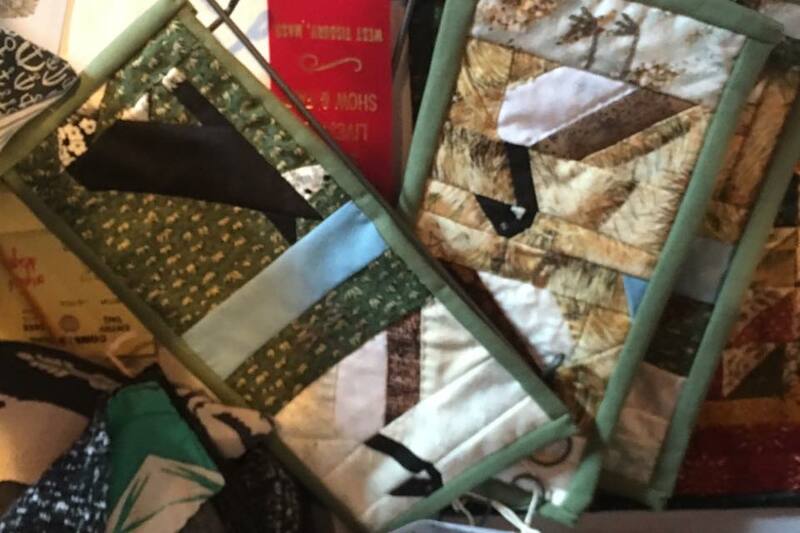 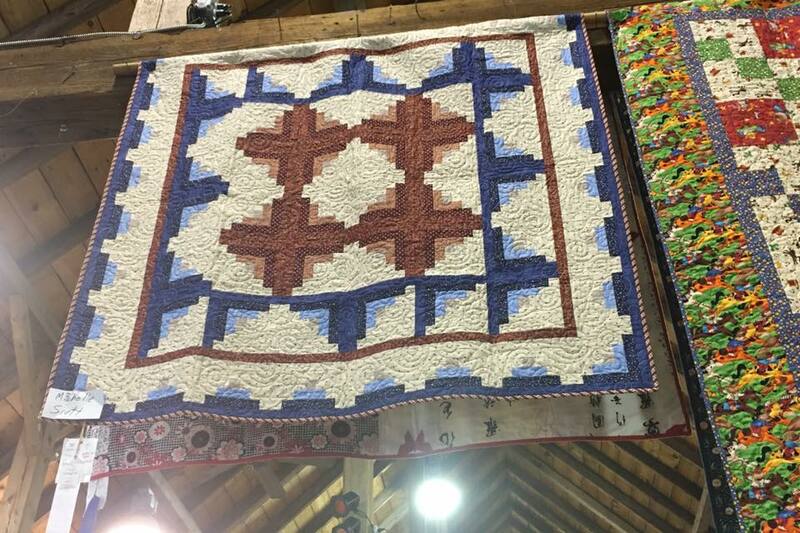 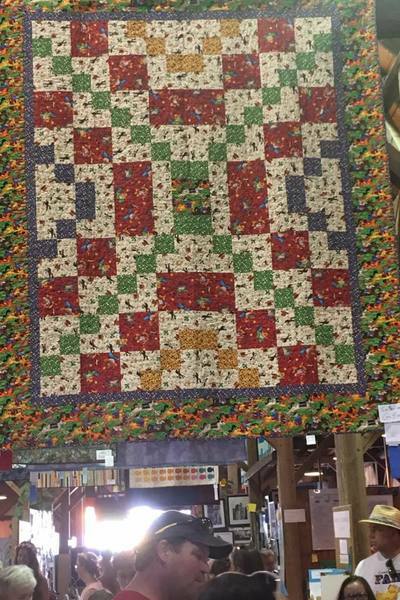 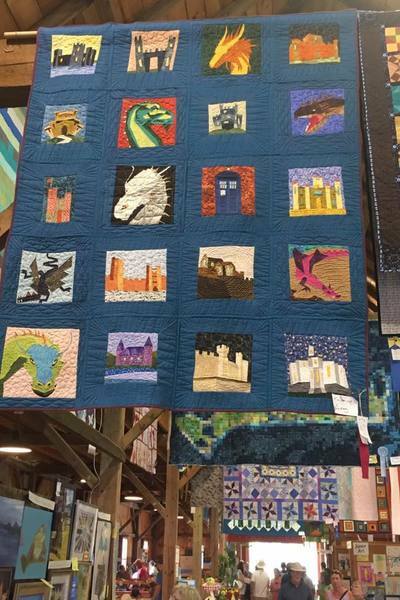 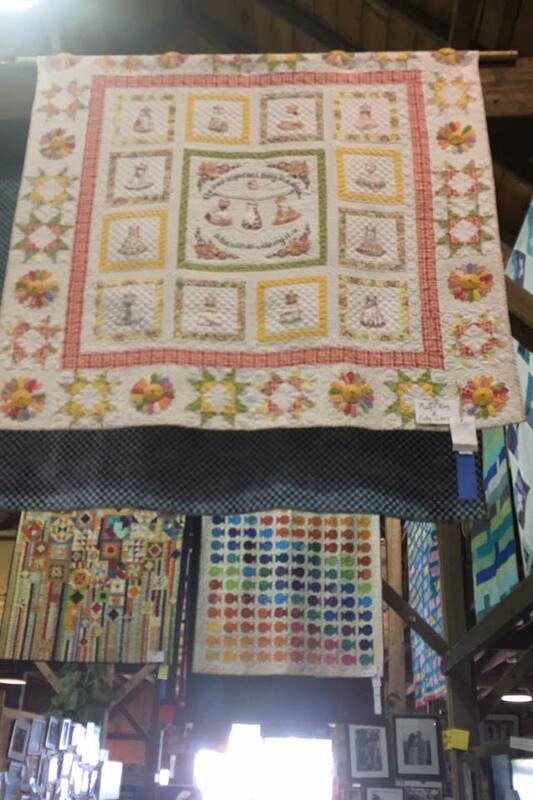 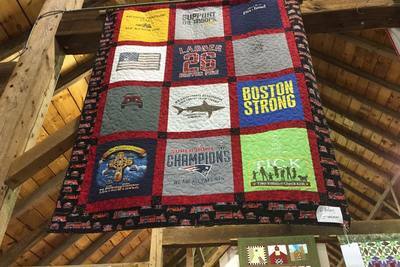 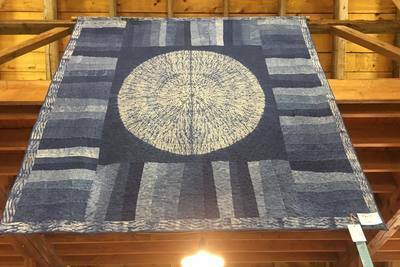 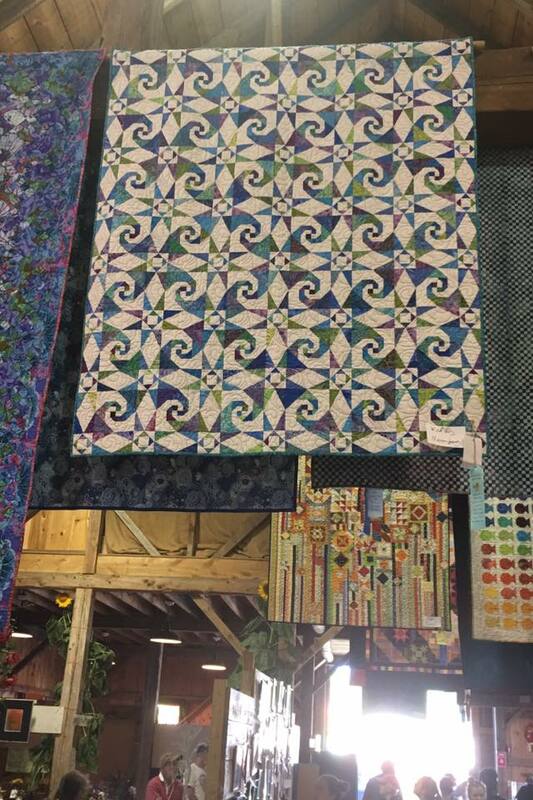 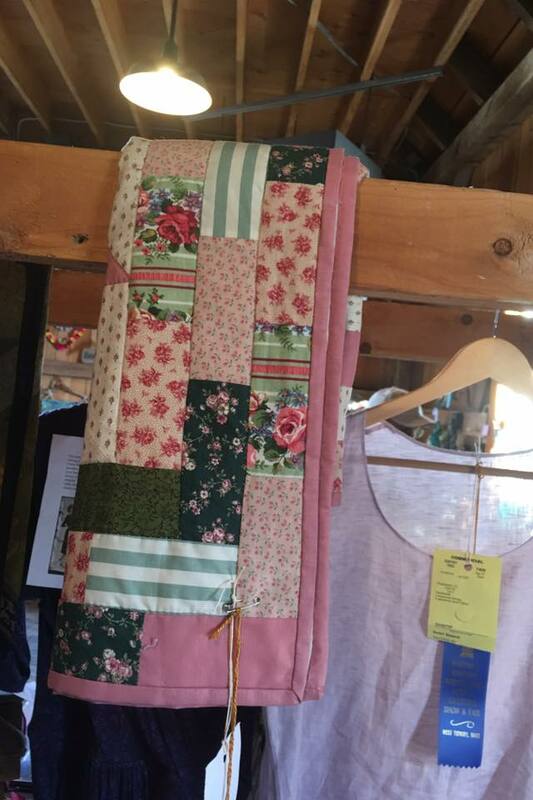 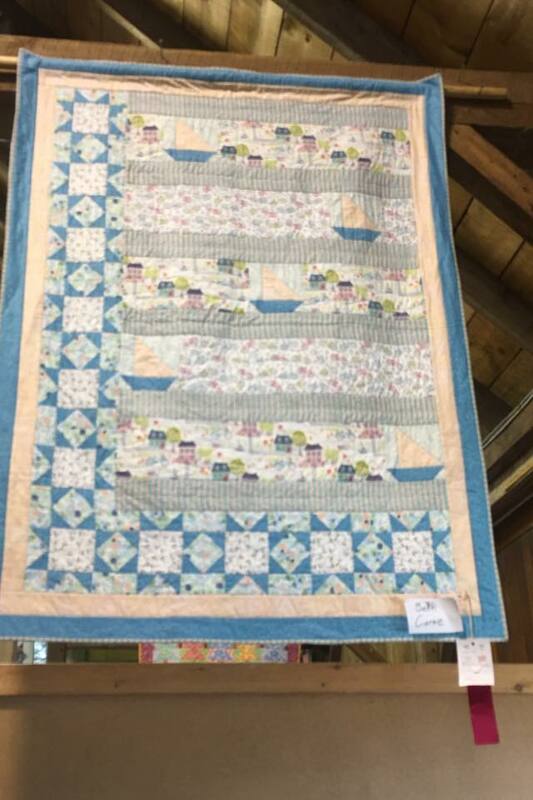 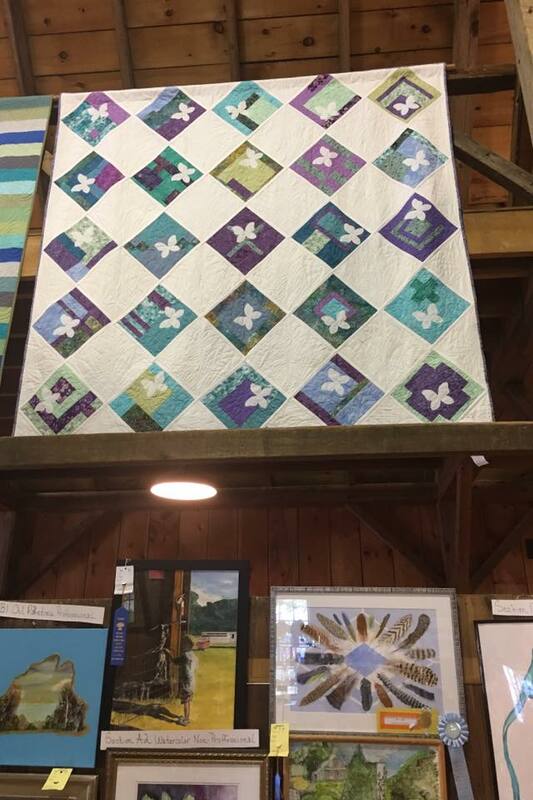 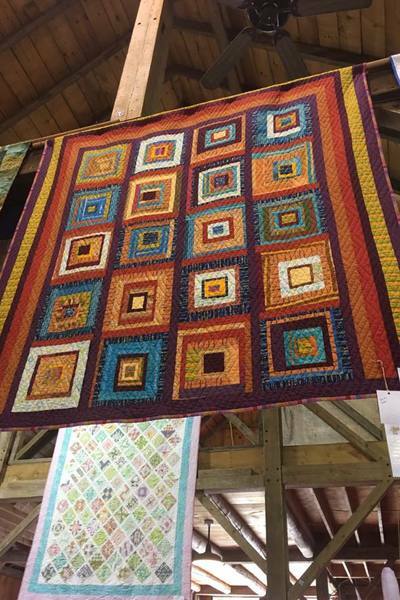 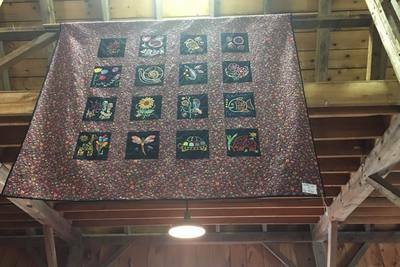 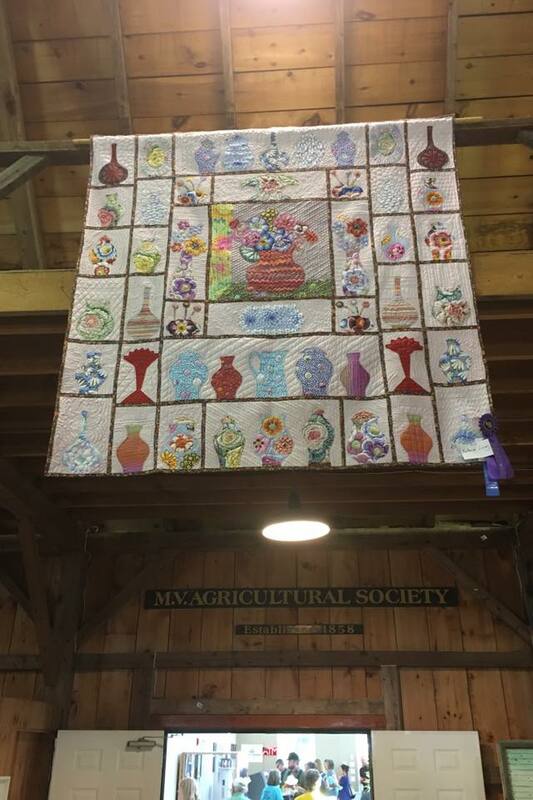 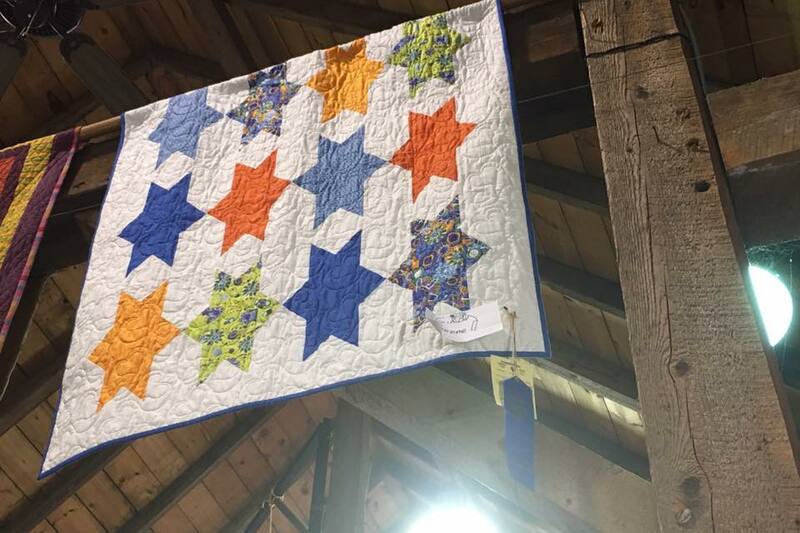 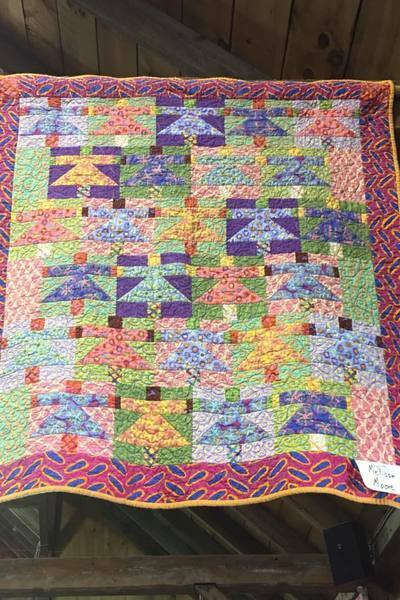 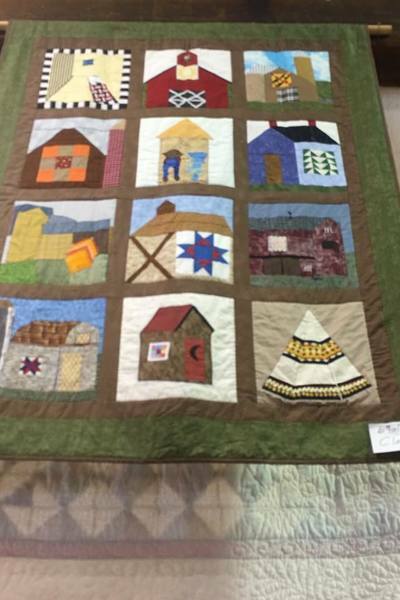 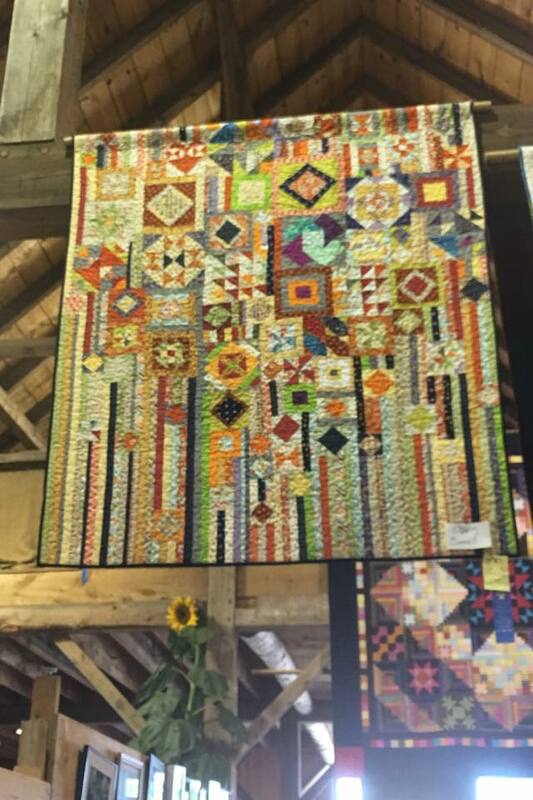 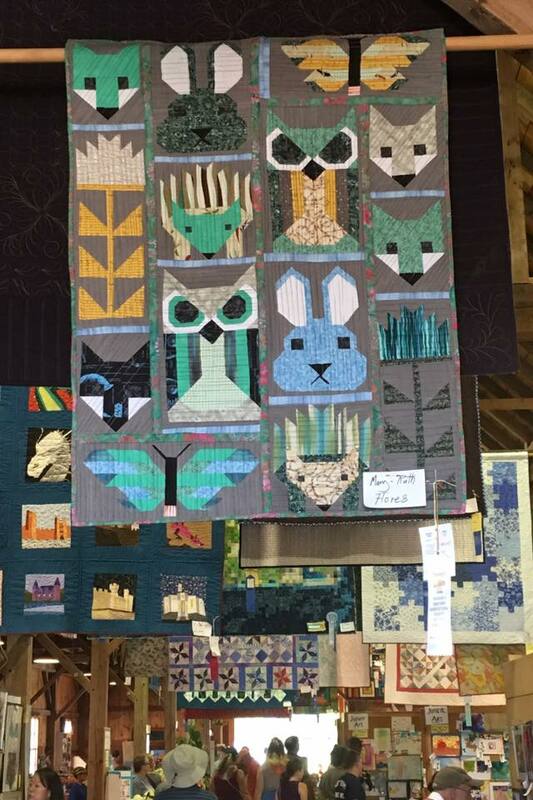 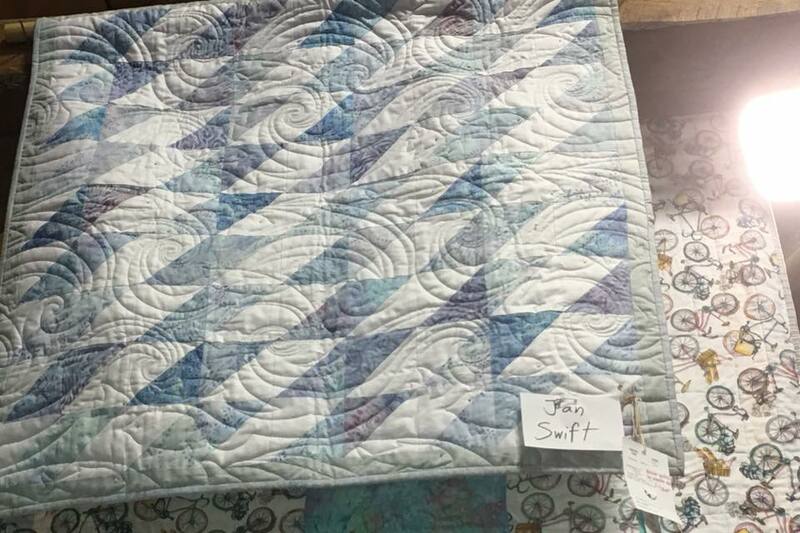 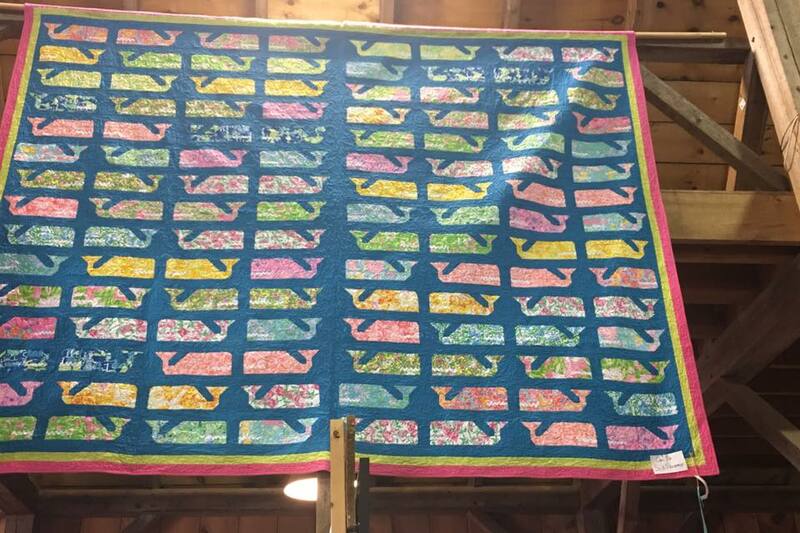 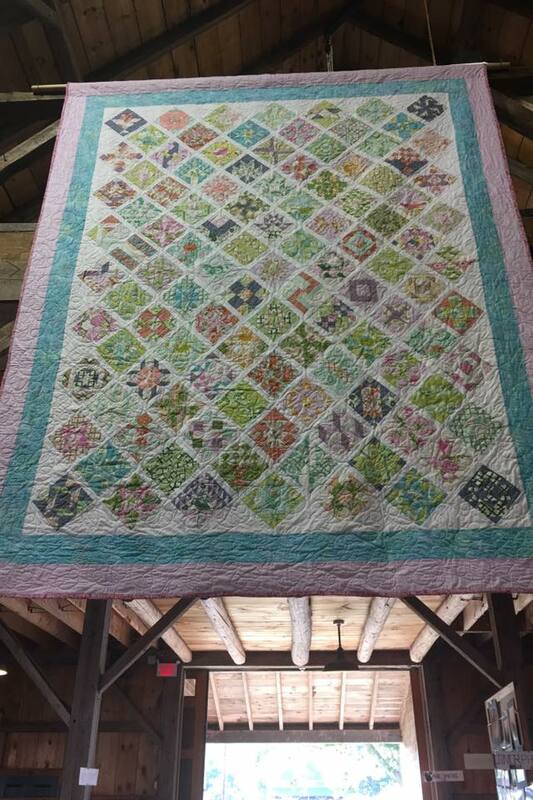 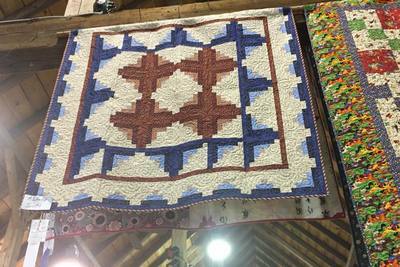 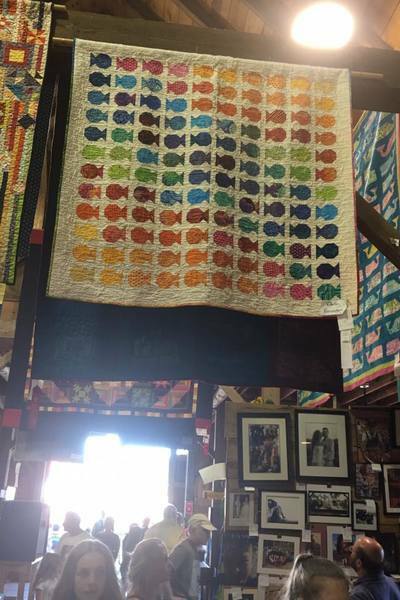 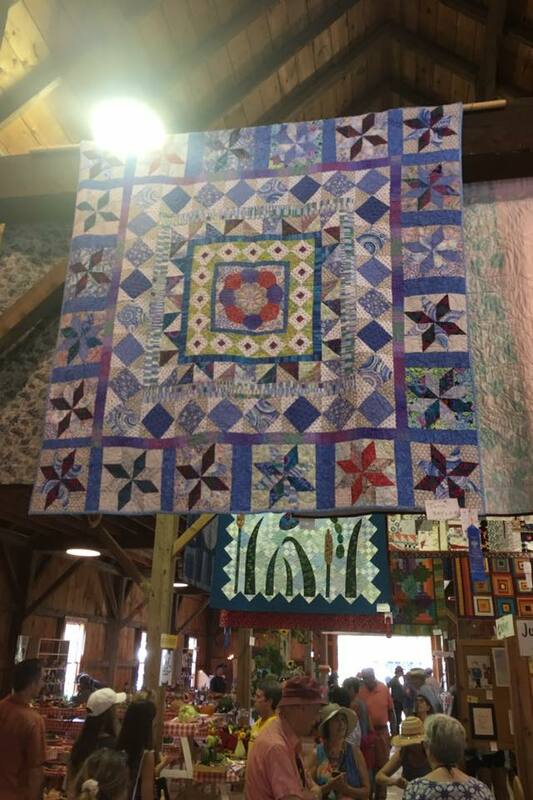 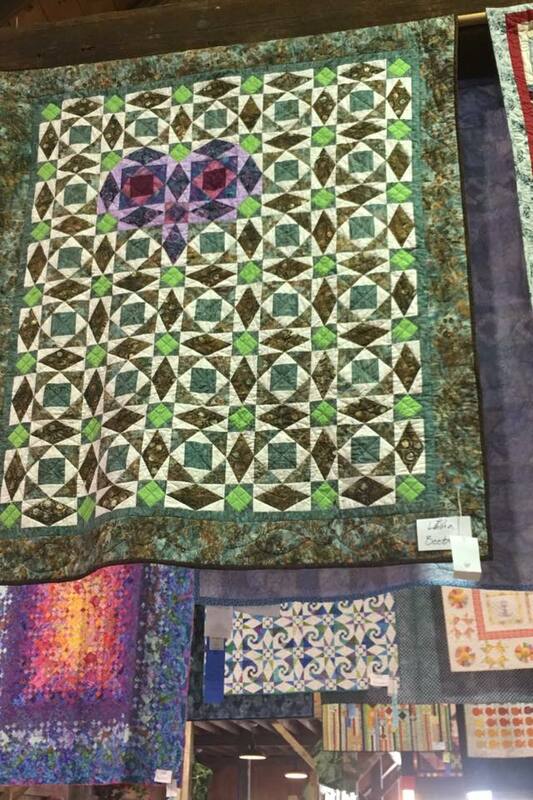 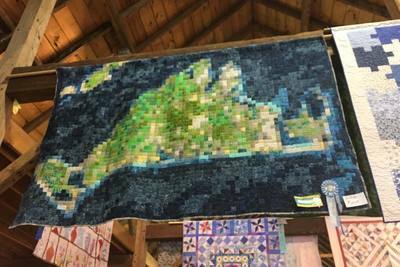 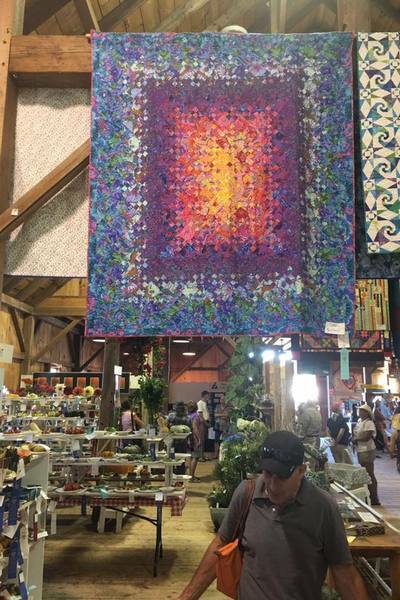 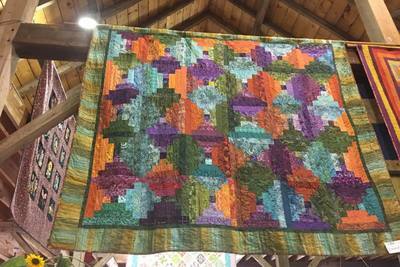 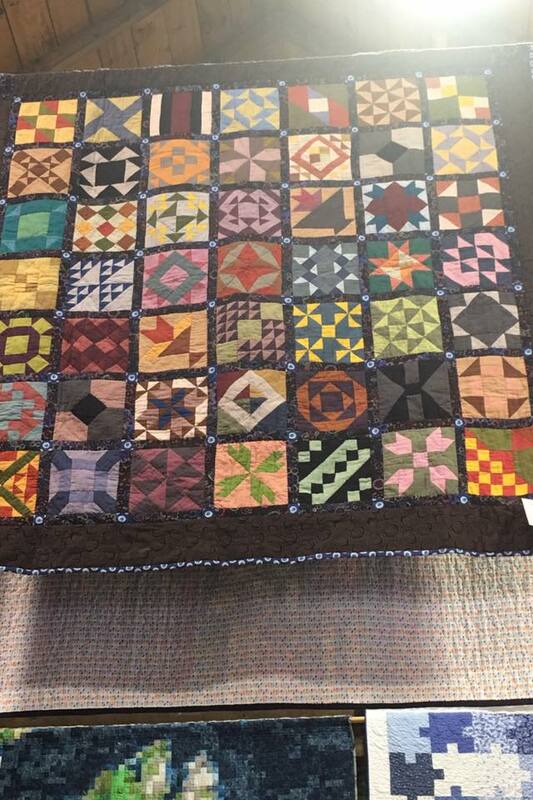 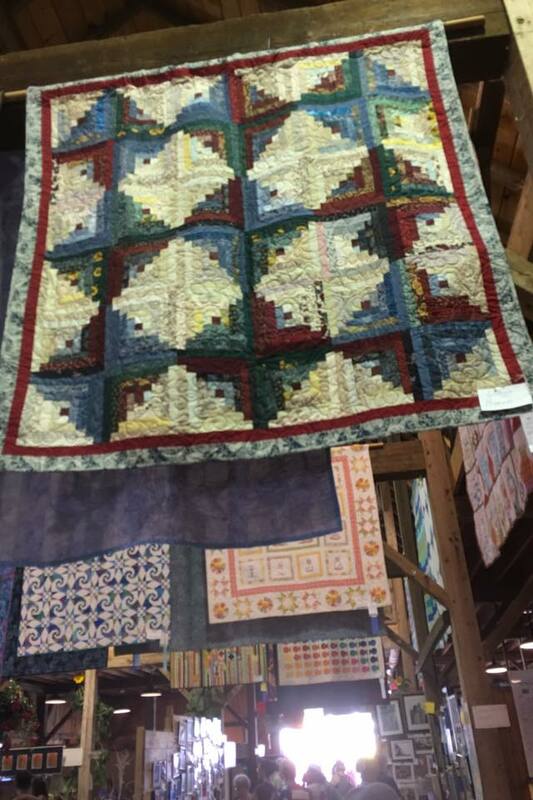 In 2014 the Martha's Vineyard Modern Quilt Guild (MVMQG) formed with 14 Founding Members. 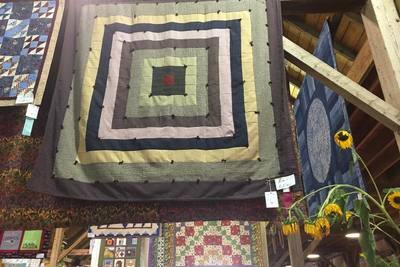 We are affiliated with the national organization, the Modern Quilt Guild. 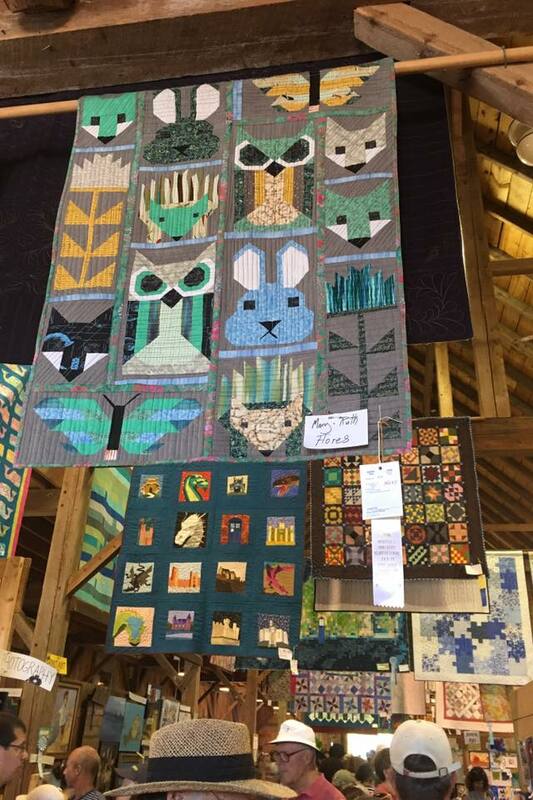 By 2015 our membership doubled. 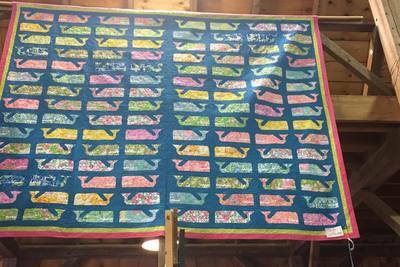 Today, we have 35 members, both year-round and seasonal visitors. 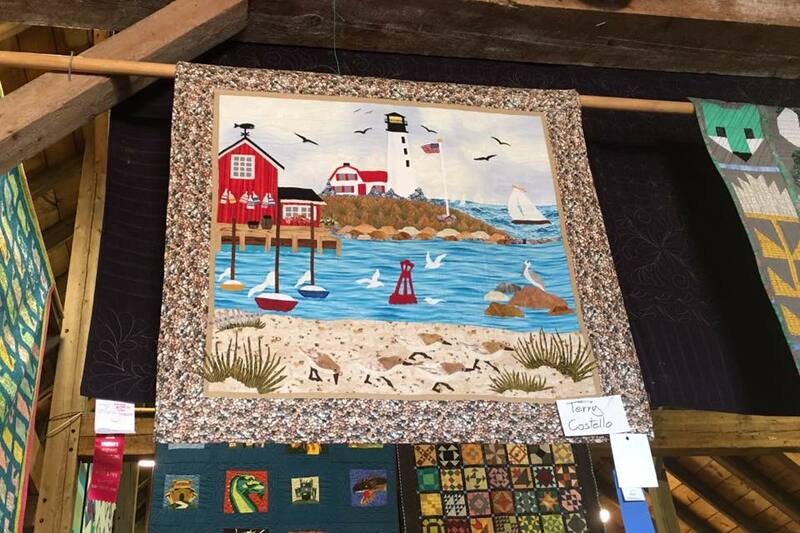 We meet weekly at the West Tisbury Public Library. We alternate Wednesdays and Thursdays, from 6:00-8:00 pm. Once a month we have a longer meeting called Sew Much Time at the Oak Bluffs Library, usually 10:00am-3:00pm. 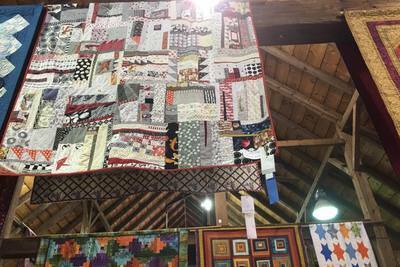 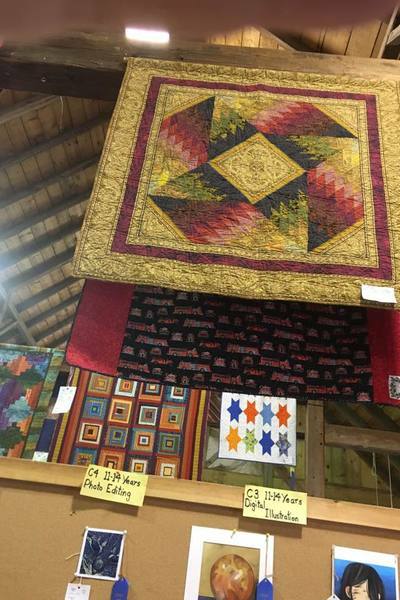 Quilters of all kinds and potential quilters are all welcome. 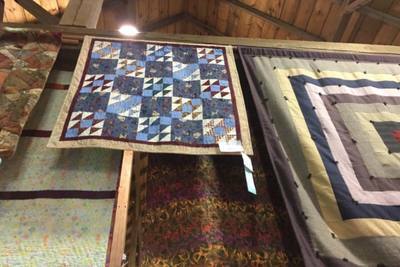 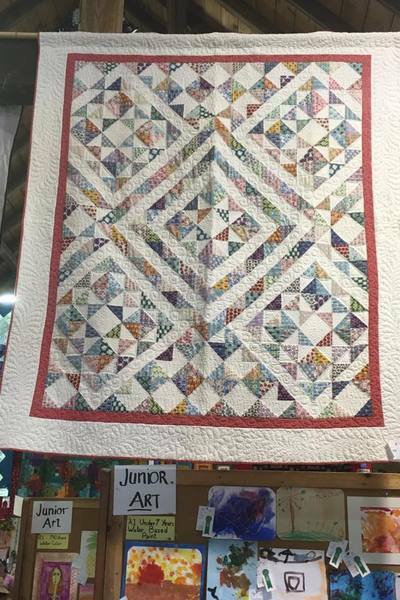 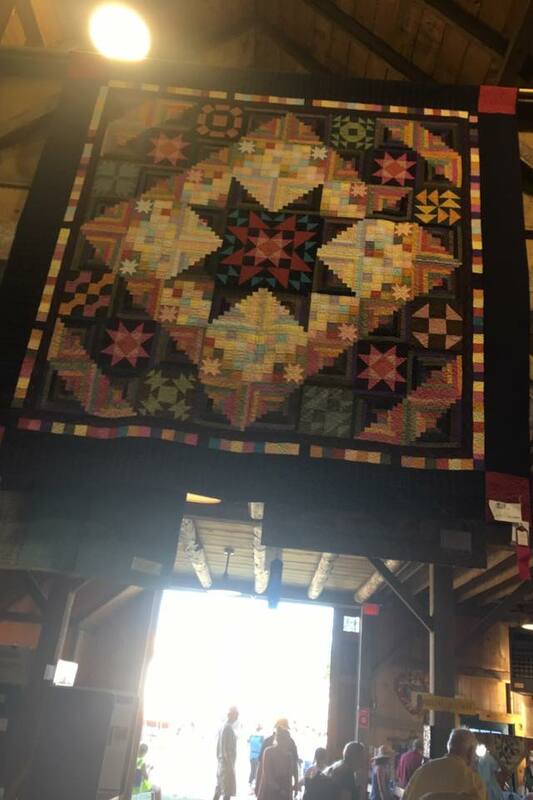 Although our name is the Martha's Vineyard Modern Quilt Guild, it is important to know that our view of 'Modern' is quilting post-1850. Together, we are creating the future of the Martha's Vineyard Modern Quilt Guild, and we look forward to seeing the direction our group takes. All are welcome to join the fun! WEEKLY GATHERINGS AT THE West Tisbury LIBRARY. We alternate Wednesdays & Thursdays. 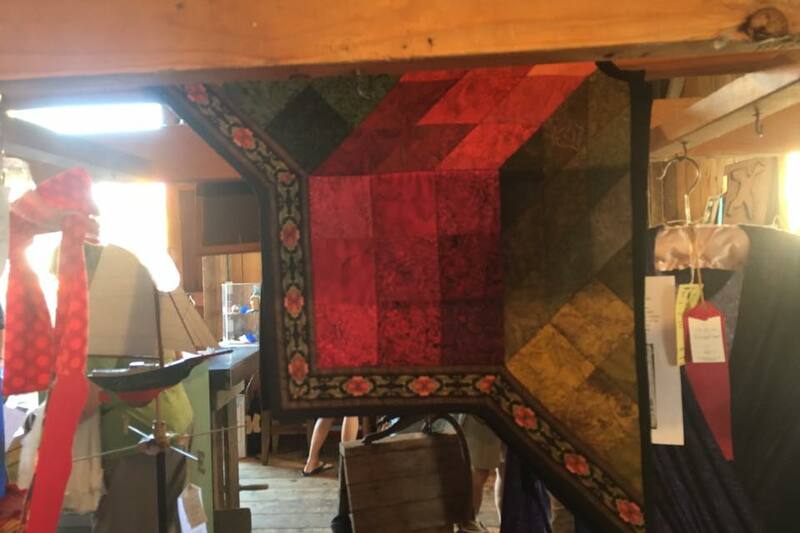 Please join my email list or send me a note for the latest schedule. 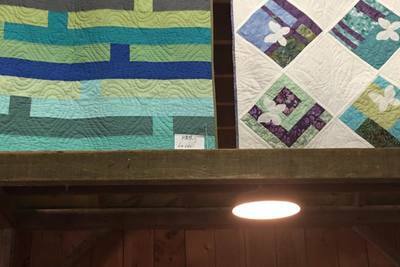 We meet from 6:00 pm - 8:00 pm. For more information about the MVMQG, please contact KATHERINE LONG, President, at mvquiltkat@gmail.com OR click HERE. If you would like to be added to the Mailing List, or if you would like a Membership Form, please contact Katherine Long, President, at or click HERE. 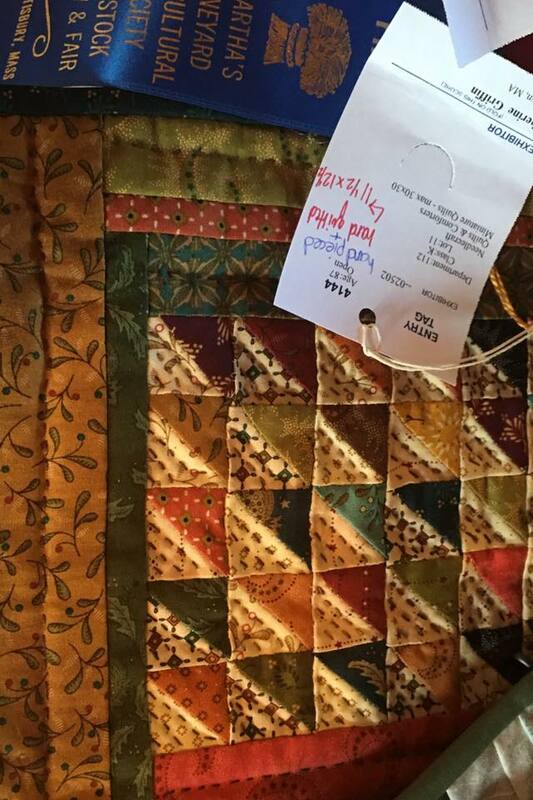 Updated on January 2, 2018 by Katherine Long.